Urbanization: Driver of Disaster Risk or Opportunity for Climate Resilience? Urban disaster risk is shaped by two colliding megatrends of global change: urbanization and climate change. The growth of cities, particularly in coastal areas, is therefore increasingly framed as a risk driver. However, cities grow for good reasons, as they continue to carry the hopes for economic growth, enhanced quality of life and social development. Hence, urbanization provides, in principle, strong opportunities for strengthening the capacity to reduce risk and face environmental hazards. Yet, this side of the equation is often neglected in the current scientific and political debates. 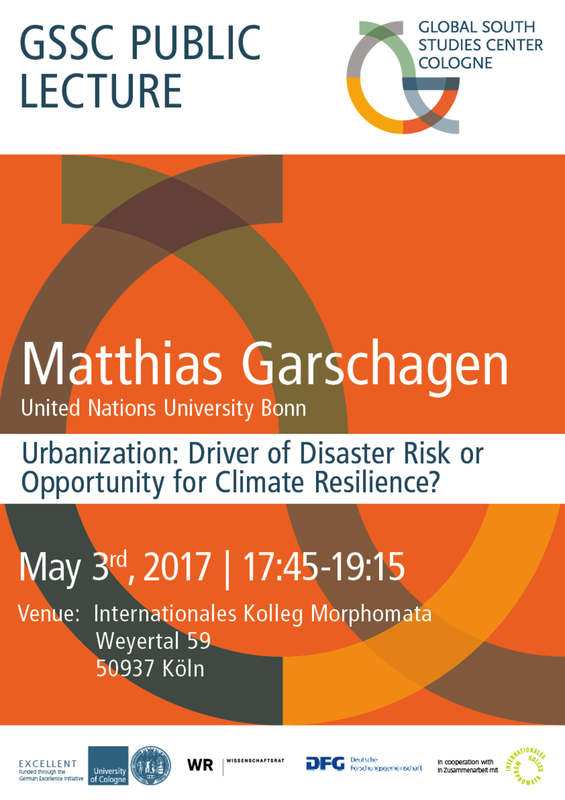 This presentation therefore contrasts the positive and negative effects of urbanization on the different elements of risk, including exposure to hazards such as floods and cyclones, the susceptibility of urban infrastructures and societies, short-term coping capacities for navigating acute disaster situations, and long-term capacities to enable the adaptation of cities to future environmental and climatic hazards. The presentation then discusses the barriers that persist in many countries, especially of the Global South, to turn urbanization from a driver of disaster risk into an engine of risk reduction. The talk combines first-hand global analysis based on statistical data with empirical case studies from Asia and Africa.